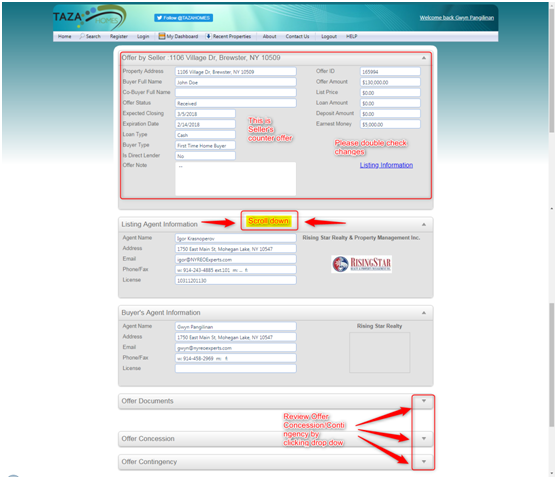 Once offer guidelines and addendum instructions are reviewed and acknowledged by clicking ”Submit” button you will be directed to TazaHomes, where you will input details of your offer and upload required documents as PDF files. 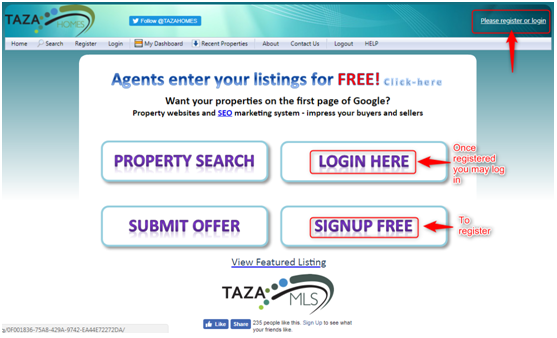 TazaHomes.com is a free service that provides a more user-friendly approach to entering/negotiating and managing offers. 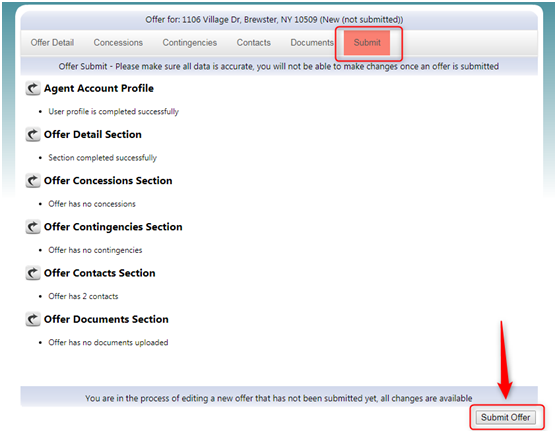 Incomplete offers can be saved and edited anytime and once submitted no changes can be made. 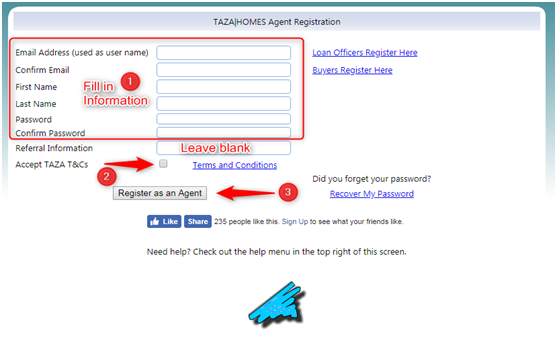 If you never registered in TazaHomes, then registration will be required in order to submit an offer. 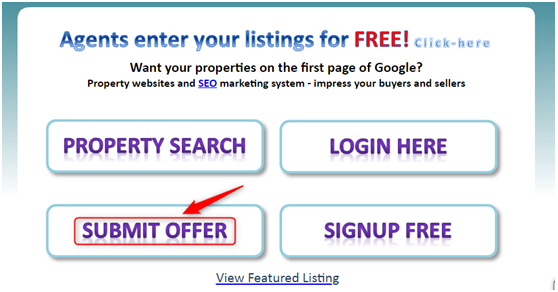 Please be advised that you can submit an offer through this site only on selected properties. 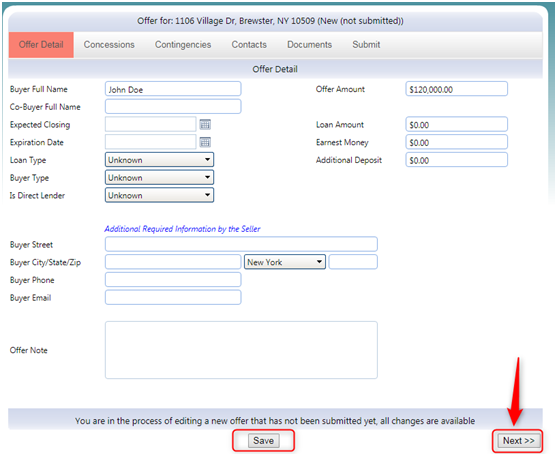 Some banks require submission of an offer directly through their designated portal. 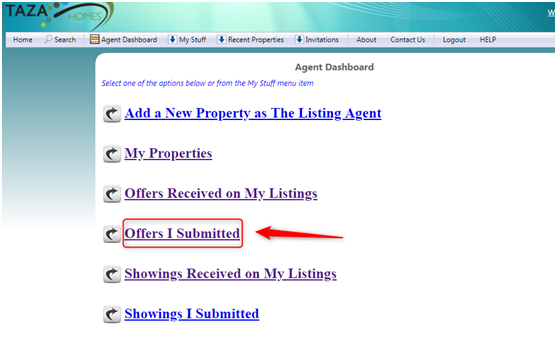 Please review agent remarks of the MLS listing and submit offer through appropriate website. Please check required documents (if available). For Financed Offers - Please be advised Lender Information is a requirement. 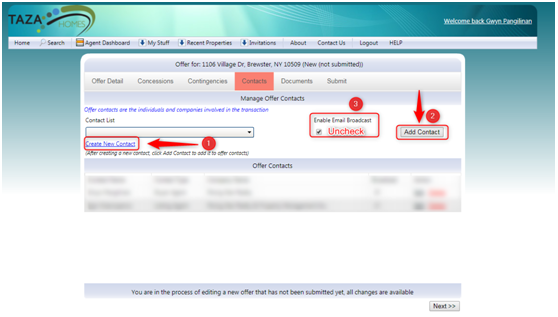 Please add on Contacts Tab by clicking on Create New Contact. Buyer’s Attorney to be added on the Contacts Tab as well. Make sure to use buyer(s) legal full names, including middle initials if applicable. 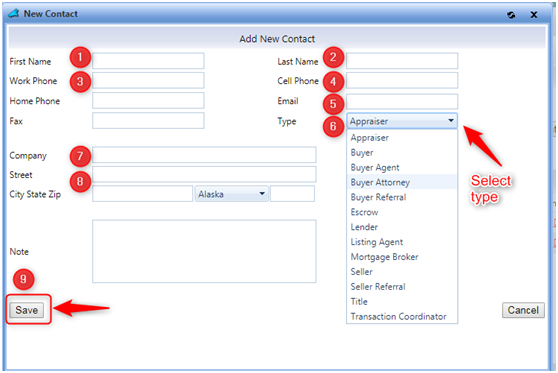 Spell names correctly and enter them in the correct fields (first name, initial and last name). If there are more than three buyers, enter all additional buyers’ information in the notes section below making sure to use their legal names and that spelling is correct as well. 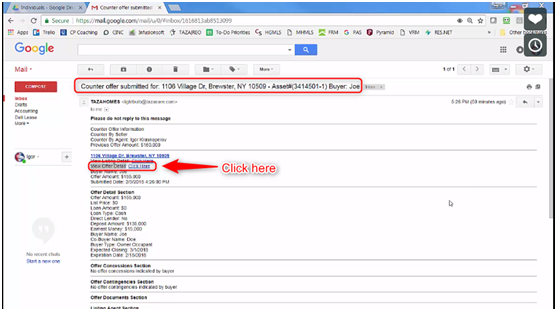 Even though there are fields buyer’s phone number and email, if you don’t feel comfortable providing this information you can enter your own. 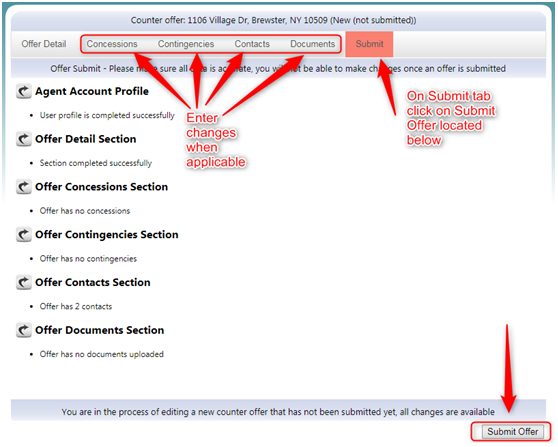 Contacts - Input Lender Information for Financed Offers and Buyer’s Attorney Information. Documents - Please upload documents separately. 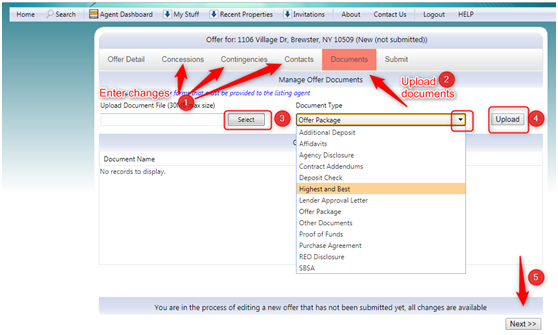 Documents - needed to be uploaded with offer: Please note deposit check is proof of down payment and not an actual check. *Important: *Personal information such as Bank Account Number, Social Security Number, and other additional personal information should be crossed out. 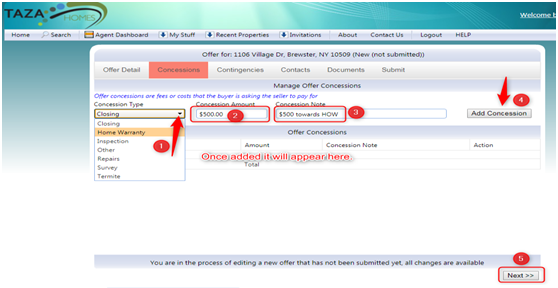 Click on Offers I submitted to check incomplete/submitted offers. 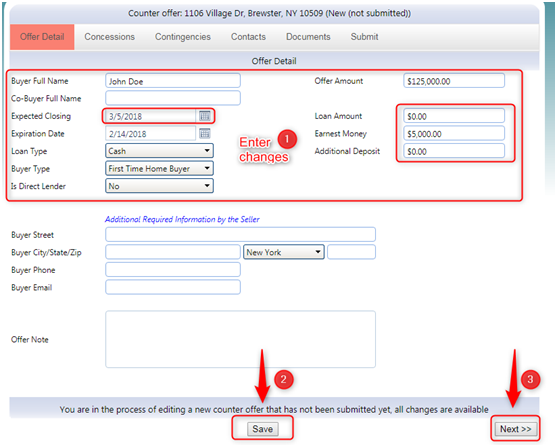 Carefully review changes that were made on the offer and Scroll Down to view Concessions/Contingencies when applicable. It is the responsibility of the buyer and buyer's agent to verify all information provided pertaining to the property. The Contract of Sale is for real property. Any personal property found in the structure or on the parcel is not guaranteed by the seller and should not be included in the contract. Remember, this is an “AS-IS” sale. 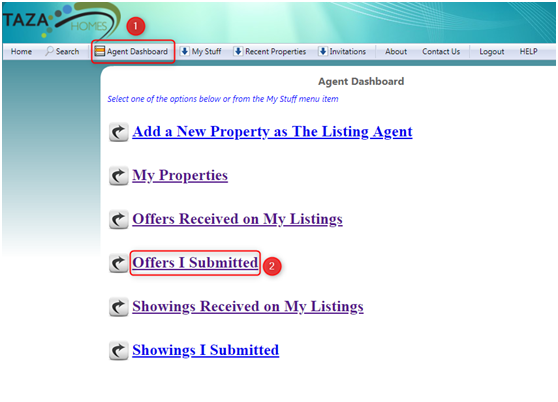 Response times to your offers will vary depending on our client. Wait times can be as little as one day and as long as two weeks. Please be assured that when we have any communication from the client regarding your offer, we will communicate it to you. 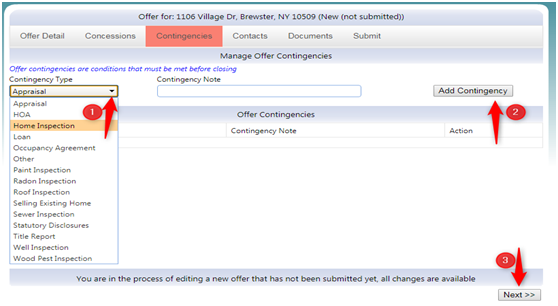 Updates on your offers are requested via e-mail only with all inquiries sent to offers@NYREOExperts.com. Please include the property address, buyer name, and your name (Agent). 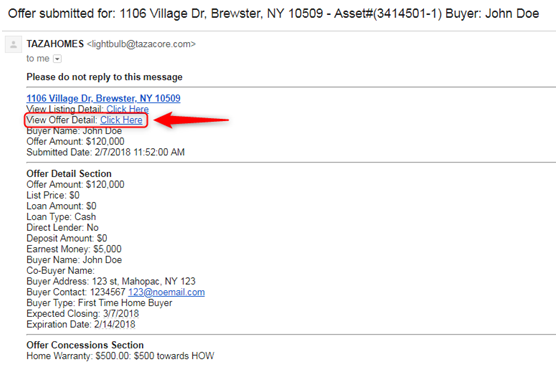 Seller will not provide a written Letter of Rejection. 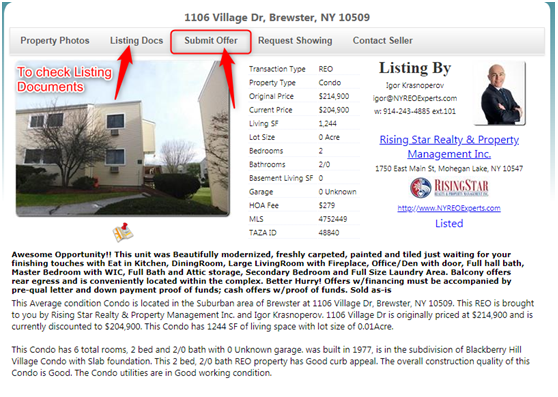 Notification of acceptance or rejection will be made by the listing office. Seller also reserves the right to accept the offer of their choice, regardless of the order in which it was received. 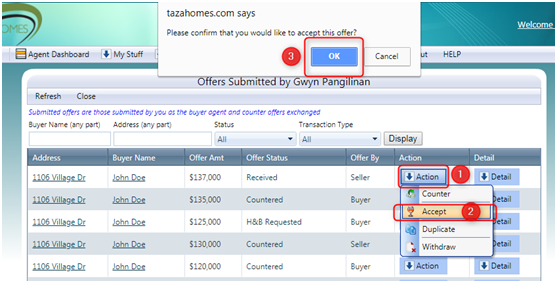 Negotiations are via TAZAHOMES. 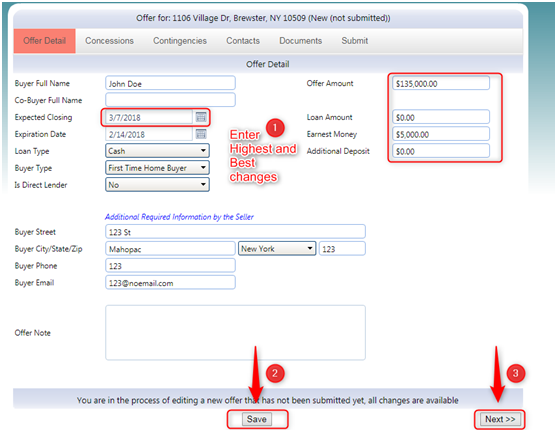 Once an offer is accepted an addendum will be sent to you for completion. The addendum and all supporting documents as required by the seller must be returned by the date indicated on the addendum. NO EXCEPTIONS! Our clients require their addendums to be a clean copy (this means no additional verbiage, words crossed, blotted out, or any form of alteration to the addendums). If you have negotiated other terms such as additional closing costs that are not covered on the bank addenda, you may add an additional addendum. Sale price, inspection dates, closing dates, and earnest money must match on both contract and addendum. DO NOT send in contracts and addendum with conflicting values. Complete contract and addendum must be returned by the date indicated on the addendum. Contracts with conflicting values or incomplete information will be rejected. Buyer and buyer's agent understand that delays can be caused that are outside of the seller's control, such as the filing of the sheriff's deed, point of sale inspection etc. Under such circumstances, as it is throughout contract acceptance to close, no repairs or alterations are to be made to the property. 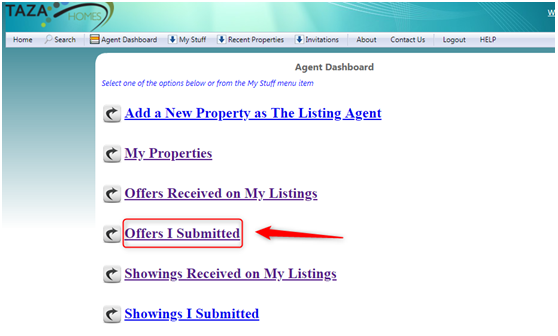 A notification to the listing agent must be made for every showing. Buyer's agent must be present at all showings. Seller will make no repairs to the property unless it was negotiated in the offer. It is the responsibility of the buyer and the buyer's agent to ensure that all deadlines are met with regards to financing and inspection contingencies. Failure to meet these deadlines may result in the loss of earnest money. The property is sold AS-IS. Remember, the seller will make no repairs unless they are lender required repairs. 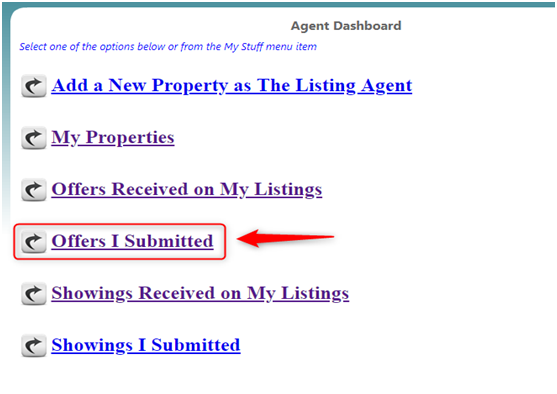 I am a licensed Real Estate Agent submitting and offer on behalf of a buyer client. I have read and understand the offer submission process.